This week on Health + Happiness, Joy Bauer and Vivien Williams help you create the best version of yourself, boost your everyday health, and get more joy out of life! In case you missed it, click here to watch Episode 1. Sure, there’s nothing better than cuddling up with your furry friend, but does Scout deserve a spot in your bed? Vivien helps put this issue to rest (haha). Plus, Joy explores the benefits of man’s best friend as she stops by Shelter to Service, a program from Zoetis, the largest global animal health company, and its charity American Humane, which is changing the health and the lives of veterans and the dogs they adopt. Joy covers this week’s Health or Hype question and it’s a goodie: Does the food we eat late at night turn directly into fat? She also shows us a few light options when you need an evening snack, like her Parmesan Popcorn and Peanut Butter-Banana Freeze (yum!). 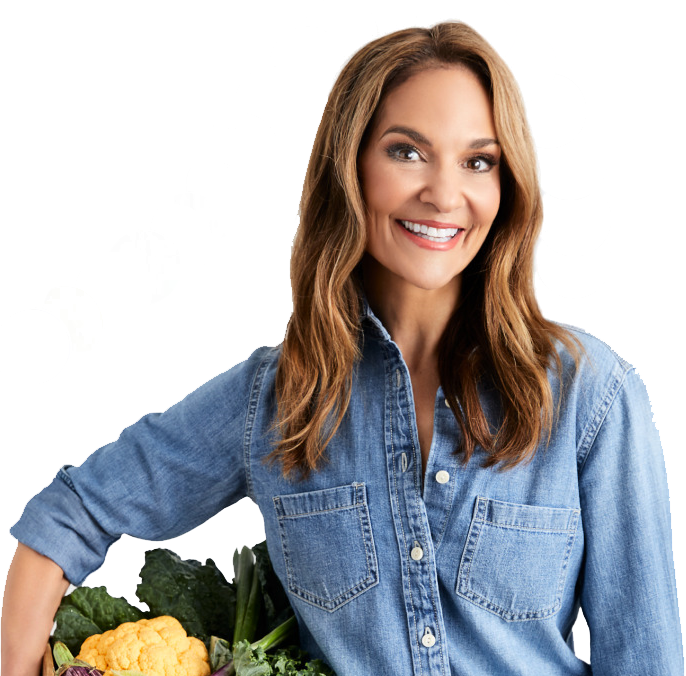 Then Vivien opens up the weekly “Doctionary” and shares some surprising foods that help you feel fuller for longer. Next, Joy shows us how to turn your favorite fattening comfort foods into healthy, slimming alternatives. This week she tackles meaty-cheesy pizza and whips up these delicious Pizza Peppers that are a fraction of the calories, sodium, and saturated fat of the regular version! Vivian and Mayo Clinic experts explain the dangers of high blood pressure and provide everything you need to know about this topic in 60 seconds flat. Every show ends with a Joyful Note, a few words of positivity to boost your physical and emotional well-being. The first thought comes straight from doctors at the Mayo Clinic, and this week’s tip encourages viewers to take a stroll outside, during which you send “well wishes” to everyone you pass. And from Joy, we learn the benefits of simply smiling. How easy is that?! Wishing you a week ahead filled with health, happiness and a daily dose of Joy! 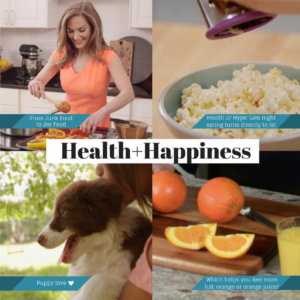 For more Health+Happiness, tune in every Saturday on NBC (check your local listings here).